Learn about how you can transform your Nascent Indrik mount by participating in this year’s in-game events. With the addition of Indrik Feathers and Event Tickets during last year’s Witches Festival, we introduced the ability for you to acquire the Nascent Indrik mount by taking part in our in-game events. Soon, you will also be able to use new Upgrade Fragments (called Indrik Berries) to transform your Nascent Indrik Mount into different versions, each with an alternate look. During certain in-game events (indicated below), collect Event Tickets by participating in that event’s specific activities. Collect 10 Event Tickets and use them to buy Indrik Berries from the event merchant known as the Impresario, located at a special booth outside Daggerfall in Glenumbra, Davon's Watch in Stonefalls, and Vulkhel Guard in Auridon. Note that the Impresario is only available during each event. Once you have all four unique Indrik Berries, use any of them to transform your Nascent Indrik mount, replacing it in your Collections UI with a new, evolved one! 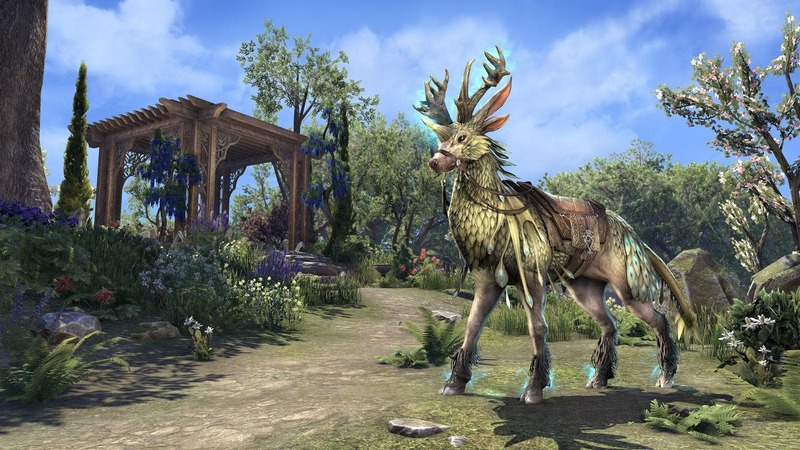 The first set of Indrik Berries that arrive with 2019’s Q1 events (January – March) allow you to transform your current Nascent Indrik into a Dawnwood Indrik! 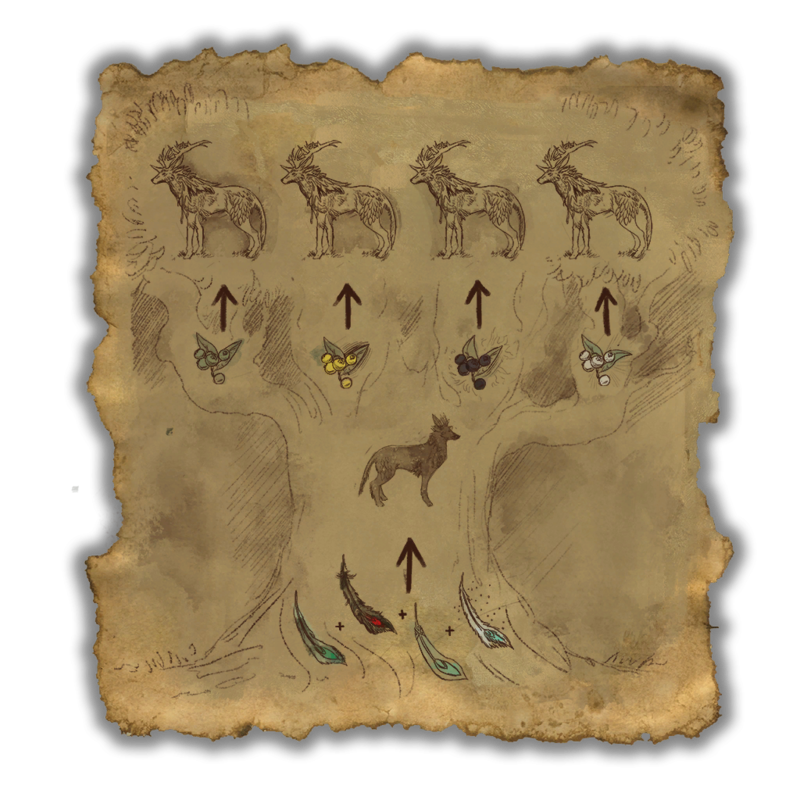 Like the Indrik Feathers during the 2018 Q4 events, upon the start of each new event during Q1, the Impresario will stock new Indrik Berries and any previous Q1 Indrik Berries for the Dawnwood Indrik. She will also continue to stock all four Indrik Feathers required to summon a new Nascent Indrik throughout 2019. This means that should you acquire enough berries to evolve your Indrik, you can immediately start working on getting a new Nascent Indrik for a different evolution in the future. Starting with the Dawnwood Indrik in Q1, each quarter this year will provide a different set of berries AND therefore a different evolution for your Nascent Indrik. We’ll share details on each quarter’s events and Indrik evolutions in the future. Please note that the Indrik Berries you can collect each quarter will ONLY be available during that quarter. Previous Indrik Berries will not return once the next quarter has begun, meaning this is your only chance to acquire this specific evolution. With the addition of new Upgrade Fragments to our upcoming in-game events, you will have the opportunity to evolve your Nascent Indriks into colorful new variants. Are you ready to transform your new mount? Or, do you plan to stock up on feathers for future evolutions instead? Let us know on Twitter @TESOnline and Facebook.